You might have seen this before. It’s not new. I hadn’t and I was blown away! Like clever cats? Check out these cheeky clever kitties stealing dog beds! Cat demands a kiss. Very cute – just look at the eyes! 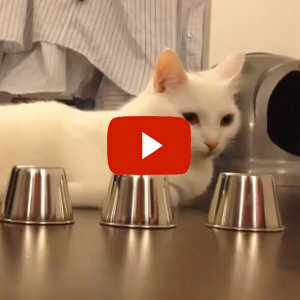 If this cat is off the chart cute, then watch this one, who is off the scale guilty! Busted! This cat looks sooooo guilty when he’s caught in the drawer, digging around. 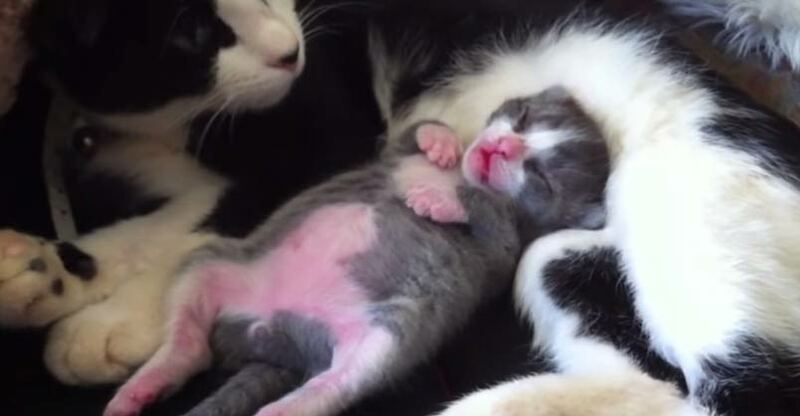 If you like a guilty or slightly naughty kitty, then you’ll love this video of a kitten winding up an adult cat. Click to watch. 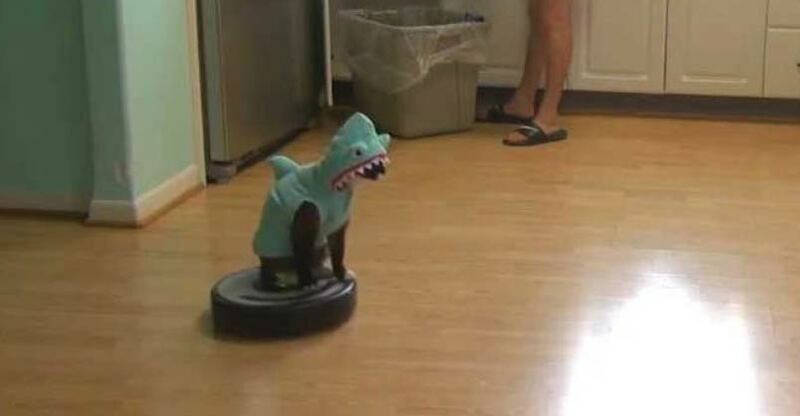 Cat Wearing A Shark Costume Cleans The Kitchen On A Roomba…. Clearly this cat is happy doing this. God knows mine wouldn’t put up with being dressed up let alone ride a robot vacuum. Cat dancing in his sleep – until Mom puts a stop to it! Tired baby!!! Me too. If tiny kittens are your thing, check out all these posts now.